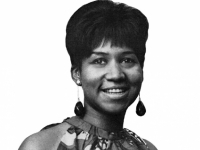 Aretha Franklin, with a last-minute legal action, stopped the Telluride Film festival from showing incredible Grace, a full-length documentary feature about her seminal 1972 performance that was scheduled to screen Friday night. More than 40 years ago, the late director Sydney Pollack began a movie about the recording of Aretha Franklin’s live double album “Amazing Grace” at the New Temple Missionary Baptist Church in Los Angeles. The 1972 project has now been reclaimed and restored with the help of some new technology, and the finished film will be screened for the first time ever at the upcoming Toronto International Film Festival, part of a supersized lineup of 31 documentaries to premiere at the gathering. A trailer for fantastic Grace was released last month; the film depicts Franklin performing “Mary Don’t You Weep” and other gospel songs, backed by James Cleveland and the Southern California Community Choir. However, Pollack did say before his death in 2008 that he hoped it would eventually see the light of day. Wonderful Grace is next scheduled for a screening at the Toronto worldwide Film Festival next week. Nobody remembers who first came up with the idea of turning Franklin's Watts sessions into a movie, but the man in charge of making it happen was legendary rock producer Joe Boyd (Nick Drake, Pink Floyd), who in late 1970 had been hired by Warner Bros. It was also the golden age of rockumentaries. In 1970 alone, there'd been Woodstock, Gimme Shelter and Elvis: That's the Way It Is. Boyd had already started to assemble a team of established documentary cameramen for the Franklin film. Deadlines passed as the Amazing Grace album came out in June 1972, selling millions with no synergy. In August, Warner Bros. officially wrote off and shelved the movie. Sydney Pollack moved on to his next film, working with another diva, Barbra Streisand, on The Way We Were.